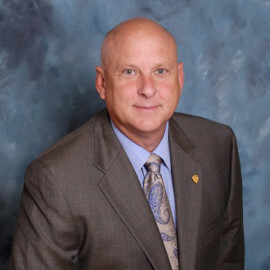 In 2009-2010, Mr. Grossman served as President of the National Society of Professional Engineers (NSPE), and still serves as Chairman on the California Society of Professional Engineers Education Foundation. Active in NSPE since 1990, his service has included membership on the Board of Directors as a regional vice president, chair of the Finance & Audit Committee and chair of the Special Advisory Group to the Executive Director. Mr. Grossman has been a member of the NSPE Educational Foundation Board of Trustees, the Leader Development Task Force, the Products & Services Task Force, the Membership Committee and the Future Directions Task Force to name just a few. He has also been president of the Diablo Chapter of the California Society of Professional Engineers (CSPE) and served as CSPE President from 2001-2003. He is also a recipient of the CSPE President’s Award and the CSPE Outstanding Leadership Award. In 2004 Mr. Grossman was named a Fellow member of NSPE in recognition of his many contributions to the Society and the engineering profession. Through more than 36 years of leadership experience in development, design, construction, consulting and operation of industrial and commercial projects. He is Vice President of Operations for Carbon Cycle Energy developing clean energy projects that deliver sustainable fuels by converting biogas from renewable sources. He is a graduate of the University of the Pacific in Stockton, California where he earned a B.S. in civil engineering. He has been a licensed professional engineer in California since 1990.